• Return laid-off and retired employees. • Schedule students and co-op employees. • Test your next candidate “on the job” to evaluate technical skills and personality. • Does not affect corporate head-count or personnel budgets. • During the trial period, we handle the payroll, paperwork and related benefits. • Transfer the employee from our payroll to yours, at any time, with no additional cost. • There is no better way to ensure that the next candidate you discover will measure up to all of your expectations! • Put your Co-op or Summer interns on our Payroll. 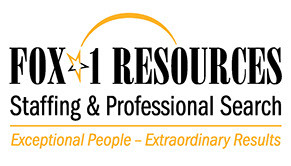 • Use Fox-1 Resources Personnel for Employee Payrolling. • Don’t lose all of those years of employee experience to retirement. • Many of our clients are now bringing back their early retirees as Contract Employees through this program. staff to pre-qualify those 1099’s and put them on our payroll. A form of insurance sold to businesses to indemnify the business for third party liability claims due to negligence. Coverage’s can include premises and operations liability for onsite and jobsite accidents and products liability claims for products that injure third parties.